Lawrence Livermore researchers have made graphene aerogel micro-lattices with an engineered architecture via a 3D printing technique known as direct ink writing. A new type of graphene aerogel will make for better energy storage, sensors, nanoelectronics, catalysis and separations. Lawrence Livermore National Laboratory researchers have made graphene aerogel microlattices with an engineered architecture via a 3D printing technique known as direct ink writing. The 3D printed graphene aerogels have high surface area, excellent electrical conductivity, are lightweight, have mechanical stiffness and exhibit super-compressibility (up to 90 percent compressive strain). 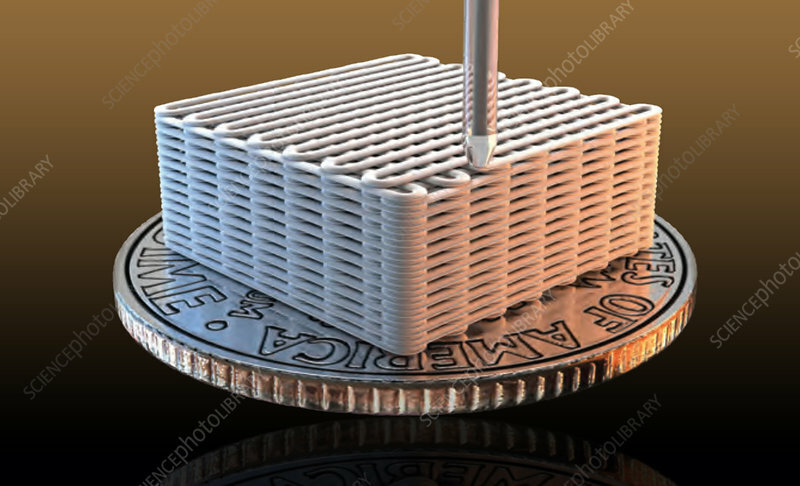 In addition, the 3D printed graphene aerogel micro-lattices show an order of magnitude improvement over bulk graphene materials and much better mass transport. Aerogel is a synthetic porous, ultralight material derived from a gel, in which the liquid component of the gel has been replaced.